FBI agents used DNA and a fingerprint to identify the Florida man suspected of sending at least 14 parcel bombs to critics of U.S. President Donald Trump days ahead of congressional elections. 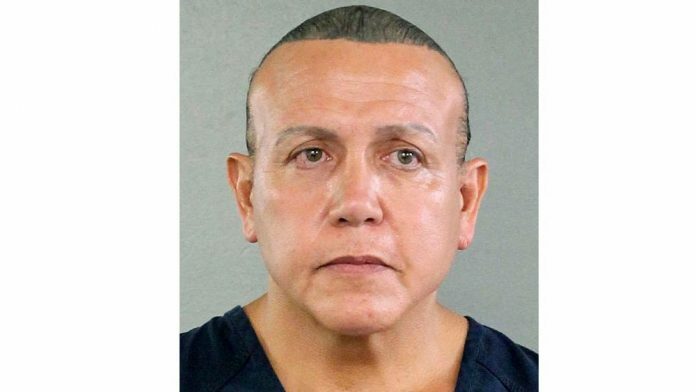 Cesar Sayoc has been charged with five federal crimes including threats against former presidents and faces up to 58 years in prison if found guilty, U.S. Attorney General Jeff Sessions said at a news conference. According to the records, he is a registered Republican with a lengthy criminal past – including once making a bomb threat – and a history of posting inflammatory broadsides on social media against Trump’s political foes. Sayoc was being held at an FBI processing center in Miramar, Florida, CNN said. He was expected to be taken to the Federal Detention Center in downtown Miami and will likely make his first appearance before a judge on Monday, according to former Assistant U.S. Attorney David Weinstein.